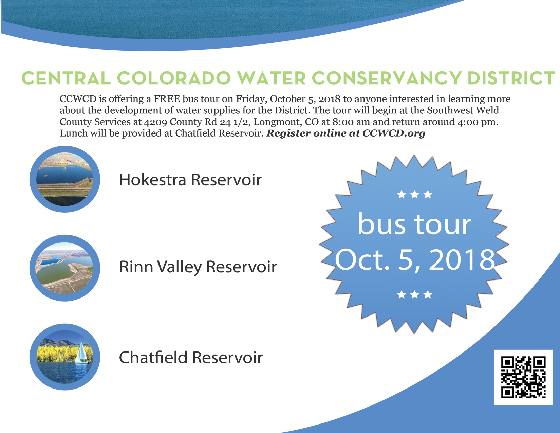 CCWCD is offering a bus tour on Friday, October 5, 2018 to anyone interested in learning more about the districts operations. The tour will begin at the Southwest Weld County office. We will tour two of CCWCD’s latest projects, Hokestra Reservoir and the Rinn Valley Reservoir Complex. 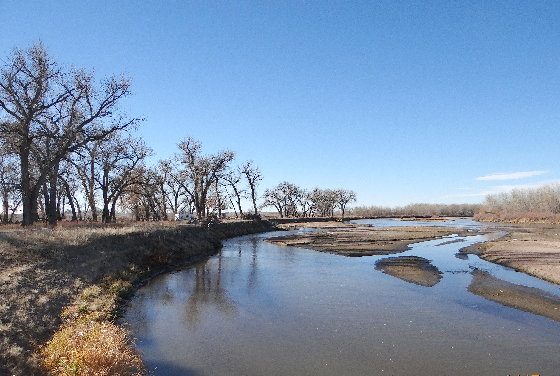 The tour will then continue on to Chatfield Reservoir where we will enjoy lunch before returning around 4:00 pm. President Donald Trump is moving ahead with steel and aluminum tariffs on some of the United States’ closest allies and that could result in serious pain for agriculture. Politico says any official documents released by the administration are expected to include some wiggle room for allies. European Union officials are said to be resigned to accepting that some sort of tariffs are coming their way. The EU has vowed to hit back with retaliatory tariffs. A recent list compiled by the EU targeted $3.3 billion worth of U.S. imports. Politico says the list shows products targeted for retaliation were drafted so as not to harm European Union industries. Some of the products are clearly designed to impact Republican-leaning states, such as Kentucky bourbon. Others on the list include rice, peanut butter, orange juice, and cranberries. Canada and Mexico aren’t immune from the tariffs either, and both countries have said they will retaliate. “It’s frankly absurd that we would in any way be considered to be a national security threat to the United States,” says Canadian Foreign Minister Chrystia Freeland. The Canadian Competition Bureau has officially approved Bayer’s acquisition of Monsanto, with some conditions. The agreement addresses the Bureau’s concerns that the acquisition would have significantly harmed competition and innovation in Canada’s agricultural sector. Following a review of the sale, the Bureau concluded that the merger would substantially lessen and prevent competition in Canada with respect to the supply of canola seeds and traits, soybean seeds and traits, seed treatments that protect crops against nematodes, and carrot seeds. In order to address those concerns, the agreement requires Bayer to sell its canola seeds and trait business, soybean seeds and traits business, carrot seed business, as well as the nematode seed treatment business, as well as other assets. Bayer has proposed BASF as the buyer of these assets and the Bureau is looking into the suitability of BASF as the proposed buyer. The Bureau is satisfied that the agreement will preserve and protect innovation and competition in important agricultural inputs such as canola seeds, which is Canada’s highest-acreage crop.